“The Photo-Bombing Bubble…” | Fidel's Wandering Eye. I was walking in Central Park one day, when near the Bethesda Fountain I spotted a flash mob beginning a performance in front of a man and a woman. After they were done dancing he got down on a knee and proposed. When she said yes he hugged her, it was touching. I put my camera to my eye to take a picture…and that’s when a giant bubble appeared out of nowhere and floated right into my shot. A street performer on the terrace below me was creating person-sized bubbles from a bucket full of soapy water. 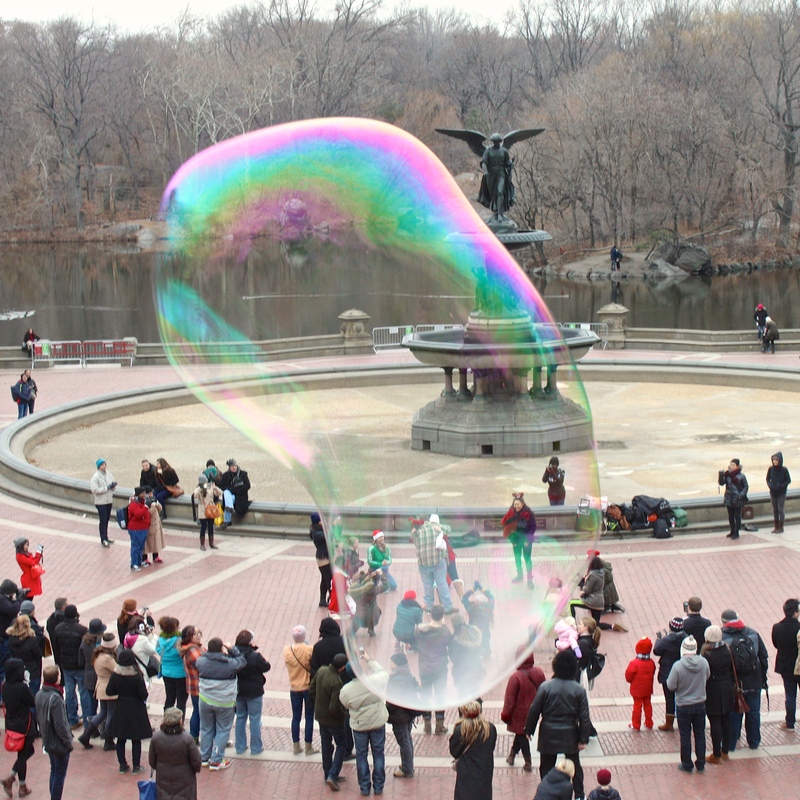 Of all the pictures from all the cameras in all the cities in the world, that bubble had to float into mine…at that exact moment in time.